We have a wide range of services and facilities available for our guests to keep themselves healthy and sound while they are staying with us. 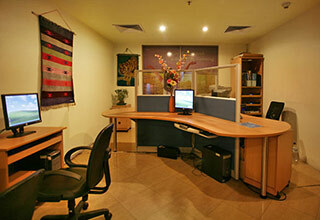 The modern Business Centre provides a range of services including secretarial services, e-mail, fax spiral binding and assistance for any of our guests. 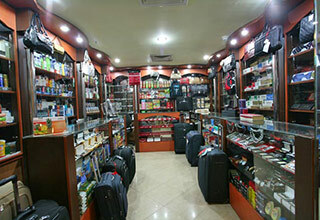 We have a small shop called Mini Mart at the lobby where you will find cosmetic products, travel kits and items, cigarettes, books, magazines, DVDs, and many more items to meet your any needs. 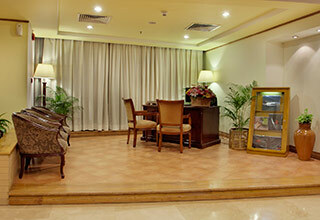 Located in the front desk of the lobby, or concierge desk will be delighted to provide details of hotel services as well as assist you with any request. 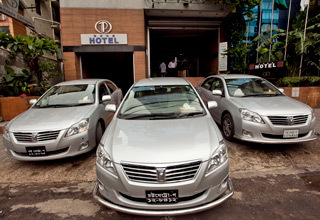 Safe, reliable, and full of quality service, The Peninsula Chittagong limousine facility is sure to make you feel like the VIP that you are. We understand that when our guests arrive in this city that constantly bustles with hectic activities, arranging transportation may become just one hassle that they can live without. Our limousine service ought to make you feel right at home even when you are on the road.